Please call to make Reservations, we do not currently have a method to create reservations online. Peak Season is Memorial Day Weekend to November 1st. 48 Hours notice of cancellation is required on all reservations. Failure of notice will result in a charge for a one night rental fee and a $15 for sites plus applicable spot fees. If no contact is made by 11:00 am the following day, your reservations will be released to the next interested owner. Each ownership is allowed two parties a year. Party Requests can be requested through the Recreational Staff (for day & room rentals) or Reservations (overnight stays). 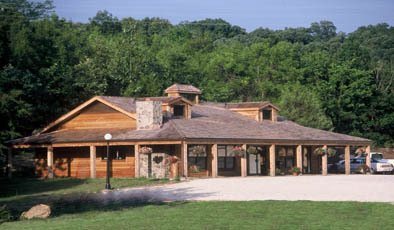 Click here for types of accommodations available for parties. Friendly reminder: All members and guests are required to register at the Security Gate prior to entering the resort. Remember guests will not be allowed on property without the owner being present. For your convenience, if you are expecting a guest to arrive later than you, please leave their names at the Security Gate prior to their arrival. A owner cannot be considered a guest of another owner. For further details of guests, please click here for Rules & Regulations for the resort. Ownership ID cards must be presented at the time of registration. 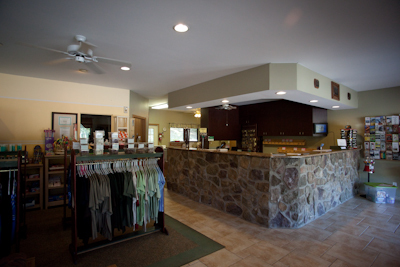 Advance reservations are strongly suggested when planning a stay at Lost Valley Lake Resort. Specific rental numbers are not guaranteed. Each owner may have a maximum of two site reservations on the board at any one time. Owners may have one rental and one site. These will count towards the two reservations maximum. Owners who use rental units may have one weekend reservation in advance and one through the week. This will count as two reservations. Only allowed one weekend reservation in advance. Free weeks, when used on holidays and high volume weekends (Easter, Memorial Day, 4th of July, Labor Day, Halloween, Thanksgiving, Christmas/New Year's Week), may not be split and will count as one reservation. If you do not use your full 7 days, the remainder of your free week will be forfeited. Villas may now be rented by Executive associates. On holidays and high volume weekends (Easter, Memorial Day, 4th of July, Labor Day, Halloween, Thanksgiving, Christmas/New Year's Week), if you cancel your free week reservation at the last minute you lost your free week. An owner may only stay on the resort 21 consecutive days in a 30 day period. A 21 day stay will require 2 reservations. Keys must be turned into reservations by 11:00am. Unapproved late checkouts will be assessed a 1/2 day rental fee. All reservations must be made by the Owner. 2-night minimum on weekends, 3 night minimum on major holidays. On major holidays, you may have 1 advance reservation on the books. For second reservation, you must call the day before your check in date to book, pending availability.